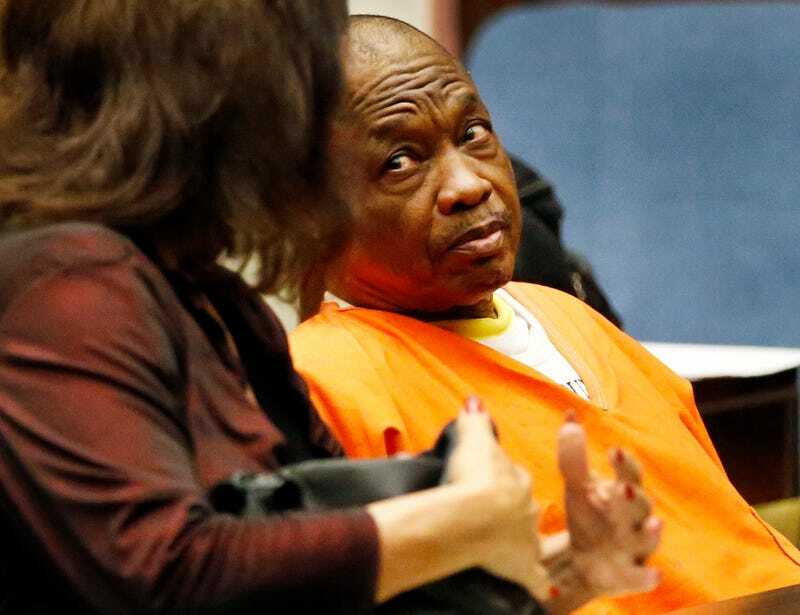 The Los Angeles Police Department is asking for the public’s help in identifying 35 women who may have been killed by “Grim Sleeper” serial killer Lonnie Franklin, who earlier this year was sentenced to death for 10 murders in the South Los Angeles area. He reportedly got his nickname because he appeared to have taken a 14-year break from his crimes, from 1988 to 2002. People magazine reports that detectives found more than 1,000 photos and videotapes of black women and teenage girls in the 64-year-old’s garage and backyard camper days after he was arrested in South Los Angeles in 2010. People reports that some of the women in the photos appeared to be unconscious, asleep or dead. Of those photos, police have identified all but 35 of the women and are asking for the public’s help in IDing the rest. Franklin, a former sanitation worker and married man of 32 years, was able to kill for more than 30 years because many of his victims were poor black women. The police callously identified many of the women killed as “NHI” (no human involved) because they were prostitutes and drug addicts. He was captured in large part because of the efforts of activists Margaret Prescod and Nana Gyamfi of the Black Coalition Fighting Back Serial Murders. Most of Franklin’s victims were shot with a .25-caliber pistol or strangled. Only one woman, Enietra Washington, escaped Franklin’s clutches with her life. She was able to describe him to police. Most of his other victims were found in dumpsters and alleys in South Los Angeles. People magazine reports that Franklin was finally caught through familial DNA evidence obtained from his 28-year-old son, who was arrested in 2009. In 2011, investigators announced their belief that Franklin killed at least six more women in addition to the 10 women he was convicted of murdering. HBO did a documentary on Franklin last year, Tales of the Grim Sleeper. This Monday, another program on Franklin debuts: People Magazine Investigates: The Grim Sleeper airs at 10 p.m. ET on Investigation Discovery. Police are asking anyone who has information about the women in these photos to contact LAPD Detective Daryn Dupree at 213-486-6869.